" To increase the quality & value of the catch for watershed residents through chilling." 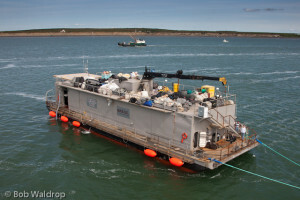 Taking advantage of icing bonuses paid by salmon processors often requires that fishermen have insulated totes and slush bags for storing ice and chilling fish on board. Checking with your processors early to see what their icing plans are for the coming season is always a good idea in order to be prepared and so that you can make sure your operation is ready to ice. 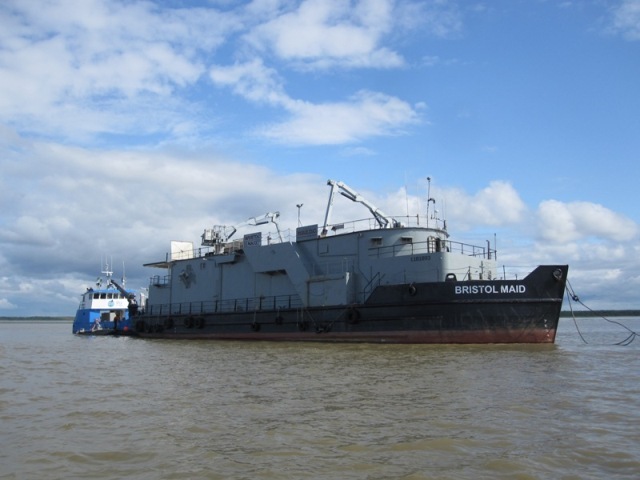 BBEDC's two ice barges, the Bristol Maid and the Bristol Lady will be in service for the 2019 fishing season. The Bristol Maid will be located in the Nushagak off of Clarks Point and the Bristol Lady will be located at the Y in Naknek. 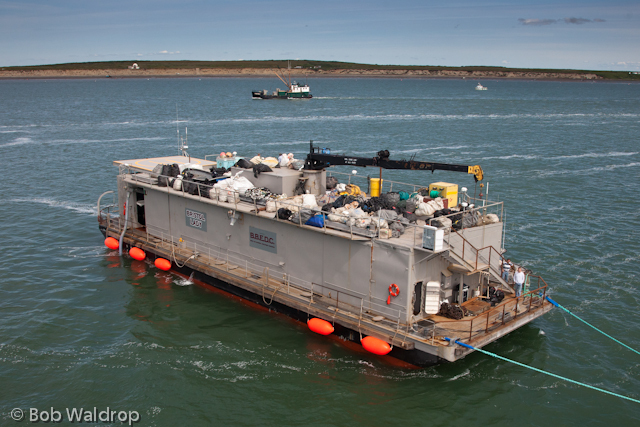 On August 13, 2014 at 7:45 a.m., the Bristol Maid reached the millionth pound of ice sold for the 2014 salmon season. 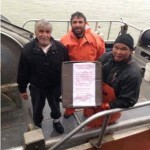 The skipper, Nick Christensen and crew of the f/v Sherry Sea purchased the ice. They received a grocery gift basket and a warm thank you from the Bristol Maid crew for purchasing the one millionth pound of ice this season. The thank you read: "Congratulations! 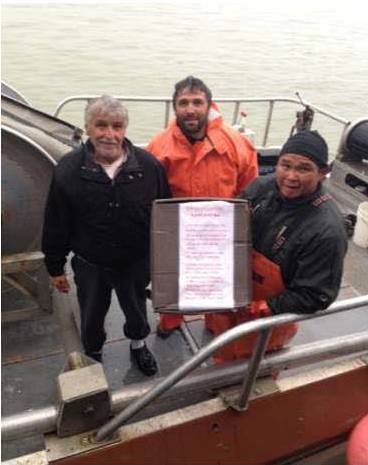 The Bristol Maid would like to show its appreciation to you for being the fisherman to buy the one millionth pound of ice sold for the 2014 salmon season. We have put together a great gift pack of groceries that includes everything a hard working fisherman needs to stay healthy and well fed (including Rock Stars and coffee to keep you awake on those long hard days). Thank you once again from "The Ray of Sunshine" and his crew on the Bristol Maid." For more information contact BBEDC at 842-4370 or 1-800-478-4370.